"It wasn't about the money," Joe Rogness states flatly. "What concerned me was that my career really became about the 'chase,' about being the guy who hit the homerun and brought in business for the company-I needed to feel necessary," he says, in recounting his decision to jump off the corporate ladder, abandoning an enviable career in sales that was poised to offer the young executive a very comfortable early retirement. The same confidence, drive and ability to tackle challenges that made Joe such a successful businessman are the qualities that now, in the new light of Christ's calling, bring him humbly into the world of ministry though music, a path that seemed unlikely-even crazy-a little more than a year ago. The breaking point for Joe came following a ski trip in the quiet mountains of California, where he was able to spend some time away from the 'rat race,' seeking God and listening in His presence. "I didn't have my laptop with me and my cell phone was out of range, so I was really able to disengage for the first time in a long time," Joe says. "When I got back to the airport and listened to the messages and looked at the e-mails that had accumulated, they seemed insignificant to me. During that time of finding rest in God, I believe I just kind of woke up to what my life really needed to be about." Looking back, Joe can see that God began preparing his heart and nurturing his musical gifts for this surprising life change long before his revelation in the mountains. A self-taught guitar player with several years of piano instruction under his belt, Joe wrote his first song in high school, a tribute to a friend killed in a car accident. However, it was after hearing a recording by David Wilcox during college that Joe remembers first having the desire to pursue music as more than just a hobby. But the business world was calling, and Joe put his dreams on the back burner for a few years-until God would not allow him to hedge any longer. Admittedly cautious of making such a radical, life-changing decision, one that would also impact the lives of his wife and three young children, Joe began to wrestle with God, asking some tough questions. 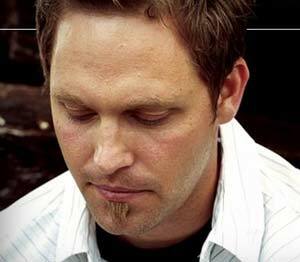 "If I quit my job, God, will you allow me to succeed as a Christian artist?" Joe recalls asking. "Not necessarily," he felt God saying to him, "But just let Me love you and step into My presence, and I'll take you where you need to be." With that assurance, Joe dove headlong into the process of writing for and recording his aptly-titled debut, Right With You. Produced by respected industry veteran Nate Sabin, who has worked with such artists as Sara Groves and Derek Webb, the organic, transparent feel of Right With You finds Joe's distinct, inviting vocals at home between elements of folk-oriented pop and introspective lyrics. He is even joined on one cut by his Minneapolis-area neighbor and friend, Sara Groves. Inspired by her talent and integrity as an artist, Joe is quick to heed Sara's advice as he embarks on his own music ministry. "Sara and her husband Troy have helped me understand that it's ok to develop this ministry slowly, to grow it at the church level," Joe says. "They've made me optimistic about jumping into this world, showing me that relevant music and effective ministry are not a result of being on the cover of every magazine on the coffee table." Writing or co-penning nine of 10 songs on the album, Right With You showcases Joe as a well-seasoned songwriter, though his serious focus on the craft is remarkably recent. Songs like the acoustic guitar-driven "Childhood Eyes," or the breezy, R&B-tinged groove of the autobiographical "My Little Faith," reflect on Joe's journey away from the trappings of corporate America toward the relentless pursuit of Christ. The haunting, ethereal "Simply Divine," co-written by Joe and Nate Sabin, depicting Christ's anguish on the cross, is a standout track on Right With You. The song is also featured on the Here To Him Music compilation, I Could Not Love You More, which was inspired by actor and author Bruce Marchiano's book, "Jesus Wept." Marchiano portrayed Christ in the movie, "The Gospel of Matthew," and the album features his spoken vignettes interwoven between selections from such artists as Margaret Becker, Natalie Grant, Carman, Among Thorns and the Parachute Band, among others. "I think people have a hunger to be honest about their relationship with God," Joe says. "Hopefully the vulnerability of some of my songs will become infectious, allowing people to open-up and examine their walk with Him. We spend too much time trying to act, look and behave like we think we're supposed to, but the truth is we're never going to be perfect. We've got to allow Christ to love us where we are." Joe is constantly reminded that giving up the stability of a 'real job' and letting God love him where he is, is both the challenge and joy in his life these days. Weighing their responsibilities as the parents of Emma (7), Cooper (5) and Betsy (2), Joe and his wife Amy have reevaluated many of their priorities with much prayer and anticipation. "I'm amazed at her insight and discernment of God's calling and will in our lives," Joe says of Amy. "When I first started telling her that I needed to do this, she did not want to go down this path. Over the course of a year, as I struggled with what to do, God just worked on us both, and now Amy is so on board and supportive." Throughout his tenure in the corporate world, Joe also spent time leading worship in two churches, experiences that prepared him well for the platform of public music ministry. His first turn at the "Hype" service at Minneapolis' Wooddale Church, a seeker-focused gathering on Wednesday evenings, gave Joe the opportunity to lead mainstream cover tunes as part of the service. He later led worship for the "Upper Room," another modern, seeker service at Christ Presbyterian Church in the Twin Cities, but it was a job he nearly passed-up. "I actually told God that I was going to put my guitar down, ride the business wave and come back to music in a few years when it made sense," Joe recalls. "But within a few days of my decision, I received a call from a friend who was starting this new service at his church and wanted me to be a part of it. Initially, I declined, because I had made up my mind without bothering to pray about it. However, my friend kept encouraging me, and he basically said, 'we really think you're supposed to be doing this.'" Being a worship leader has helped Joe understand the importance of having pure motives, not emotional highs, bring people to the foot of the cross during worship. "There are times when we just get emotional, and we sometimes let our worship be dictated by what we feel. " Joe relates. "My concern became that I was just leading people into an emotional place, just serving up a dish of music. I have been forced to take an honest look at my motivation as a worship leader, and I think the focus has to be more about how times of praise and worship should fit within the context of the broader meaning of worship in our lives." This kind of soul-searching has been good for Joe-keeping at bay the temptation to fall back into the trap of corporate power and financial stability. But even though this new calling is hard at times, Joe's realizing the rewards and blessings far outweigh the temporary satisfaction found in the material world. "The whole concept of making a record is actually quite humbling," says Joe. "When you bring in your little songs and hear the studio guys take them and shape them into what they've become on the album, it's a pretty amazing experience." "But what's even more remarkable, is that as we've started taking this ministry on the road, we've created new friendships with people in churches all over the country," Joe concludes. "I can see that the Spirit of God is very alive and well and that He is moving in the hearts of His people. When I stop to realize I may be contributing to that in a small way, it's really overwhelming."